The Devil's Trumpet Brewing Co.
At The Devil’s Trumpet Brewing Co., we take pride in brewing quality hand crafted beers. 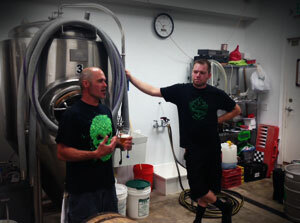 The Devil’s Trumpet Brewing Co.’s mission is to produce aromatic, clean and full flavor craft beer. Brewed with old world tradition and new world imagination, we craft our ales to meet our high standards. With our destination brewery and taproom, The Devil’s Trumpet welcomes the craft beer lover. Our brewery opened in 2014, but our brewers have been perfecting their recipes for over ten years. Visit our taproom for a few pints and take some home! Cheers!